Kevin navigates clients and their businesses through their most difficult and sensitive cases. He is a consummate advocate, whose strategic insight, pragmatism and courtroom skill make him go-to counsel for the toughest disputes. While most at home in a courtroom, Kevin appreciates that businesses and their stakeholders often prefer to avoid protracted disputes, and that doing so can be critical to their success. Where a quick and quiet exit better matches his clients’ objectives, Kevin brokers effective and protective settlements. Working predominantly in corporate commercial, securities and construction/infrastructure industry disputes, Kevin has particular expertise in reputation protection and defamation matters. Businesses and their stakeholders, finding themselves under the spotlight of media scrutiny or subject to the pressure of media investigations, rely on Kevin for his crisis management expertise and advice. For these clients, he is a consistent and reassuring force, working with public relations teams to manage reputational risk through immediate and effective response plans. Kevin helps clients achieve the delicate balance between their legal and public relations interests, and they appreciate his leadership, judgment and practical strategic guidance. 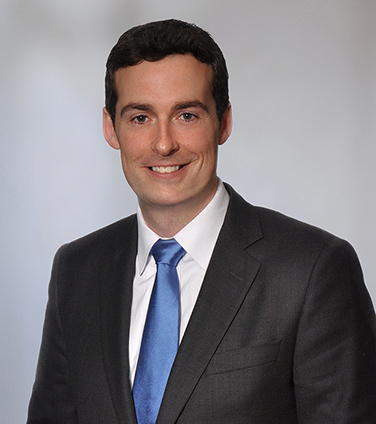 Kevin also has significant experience in domestic and international arbitrations. Highlights of Kevin’s most recent work include: representing Bondfield Construction in a highly contested defamation proceeding against The Globe and Mail; counselling various prominent organizations and high-profile individuals in confidential defamation and internet libel matters and in responding to high-profile media investigations; successfully defending BP in a cross-border securities class action arising from the Deepwater Horizon explosion; advising the Independent Electricity System Operator on matters arising out of renewable energy products and programs; acting for the City of Toronto against Carillion Construction Inc. in complex, multi-party litigation arising out of the Union Station Redevelopment Project; acting for GuestLogix Inc. in an ongoing secondary market securities class action; twice striking claims brought against Dundee Kilmer Development in relation to the development of the 2015 Pan/Parapan AM Games Athletes’ Village; and representing dissenting shareholders of Aquam Corporation in successful application to fix fair value of their shares. Committed to the careers and development of up and coming lawyers, Kevin is a mentor and sponsor to many, and acts as a member of Osler’s Legal Professionals Committee where he oversees, guides and advises on associate assessment and progression. He is also passionate about access to justice, and a committed Pro Bono Ontario supporter and volunteer. BP P.L.C. in a proposed securities class action under Ontario’s Securities Act arising from the 2010 Deepwater Horizon explosion and subsequent Gulf of Mexico oil spill. AIG in a proposed class action under Ontario’s Securities Act arising from allegations of secondary market misrepresentations. A Canadian mining company in successful international commercial arbitration conducted in Rome, Italy, arising from a dispute with a major Italian corporation concerning post-closing issues in a purchase agreement between the parties. Ventas, Inc. in its successful application for a declaration that Sunrise REIT was obligated under the purchase agreement between the parties to enforce the standstill terms of Sunrise REIT’s confidentiality agreement with a participant in its prior auction process. The decision of the Ontario Superior Court was upheld by the Court of Appeal for Ontario. Royal Trust Corporation in its capacity as trustee of a pension plan in a class action relating to the use of pension surplus and the taking of contribution holidays. General Motors of Canada Limited in a large scale distribution to employees of surplus funds arising under certain group life insurance plans. GlaxoSmithKline Inc. in successful appeal to the Federal Court of Appeal relating to the proper taxation treatment of certain transfer pricing arrangements. A Chicago manufacturing company in an international commercial arbitration against a German company arising from alleged breaches of a distribution agreement between the parties. Analysis: A case for awarding costs against the Ontario Court of Appeal?